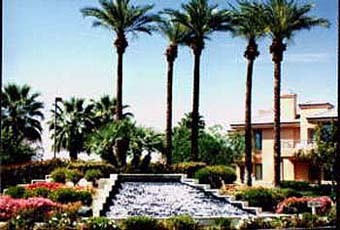 The timeshare villas are housed in attractive buildings containing eight to twelve units. 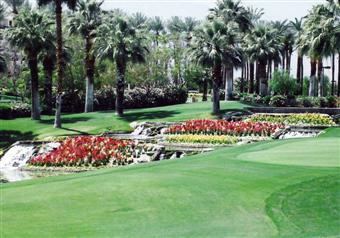 The timeshare grounds are nicely landscaped, with interesting fountains scattered around. 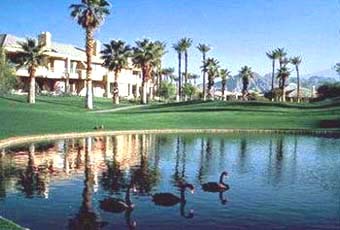 All villas have a view of either mountains, lakes... ... or beautifully landscaped golfcourse. 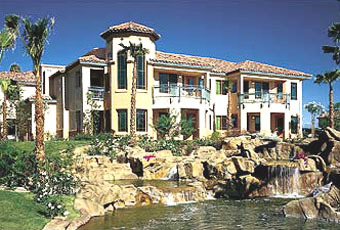 The villas are quite large (almost 2000 sq ft) and beautifully furnished. 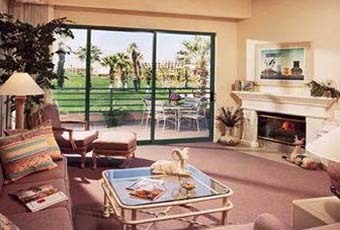 The living room contains a fireplace, 32" TV, DVD player, and free wireless internet access. 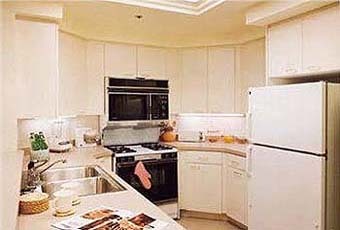 The kitchens are equipped with everything you need to whip up a gourmet meal, which we enjoy doing on vacation. 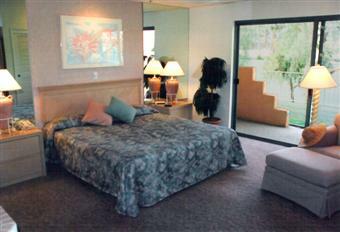 The master bedroom has a king bed, while the second bedroom has two full beds. 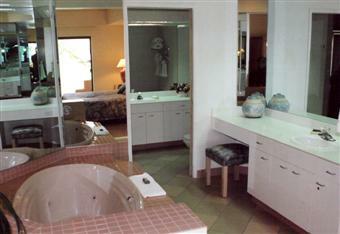 Both bathrooms have plenty of room, and large Jacuzzi tubs. Each two-bedroom villa is designed with a "lockout" feature, allowing the villa to be split into a one-bedroom unit (kitchen, living room & dining room) and a studio (i.e. efficiency) unit. Here are photos of the lockout side (aka studio or efficiency) of the villa.